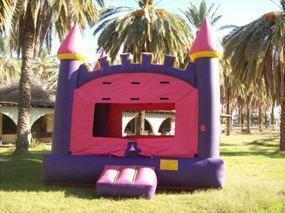 Extra bouncing area for your Princes and Princesses will keep them busy . This Super-sized castle can handle the largest parties. Make sure you have enough room for this one!